Liberty Court residents complain of sand in their face. First an injury on the new and quickly beloved Tire Swing Park had the neighborhood up in arms. Now it’s a wind tunnel of sand being thrown in the faces of Liberty Court terraces at 200 Rector Place, say residents of the building. According to a report in the Under Cover section of the Downtown Express, the injuries of wind swept sand onto residential balconies have resulted in torn corneas and will inevitably lead to property damages for those apartments facing the newly constructed playground. 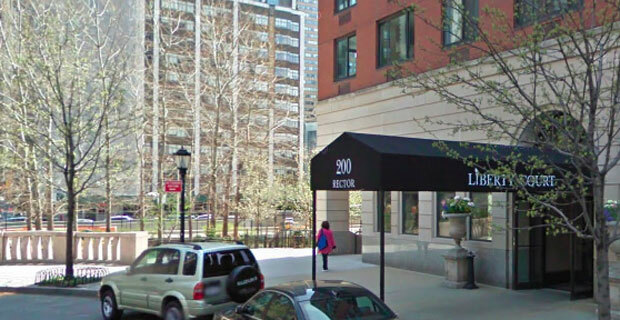 Residents of this building have threatened to take action against the sand issue and have aired their grievances with both the New York State Department of Transportation and the Battery Park City Authority Conservancy, who had partnered together to build the new playground. Liberty Court or 200 Rector Place has had a tough break with the playground area. The area had been previously used as evidence holding post 9/11 and was an area enduring the demolition and construction of the Rector Street bridge and Route 9W construction. Are you a resident in this building that can speak more to this issue? Let us know if this issue has affected you.